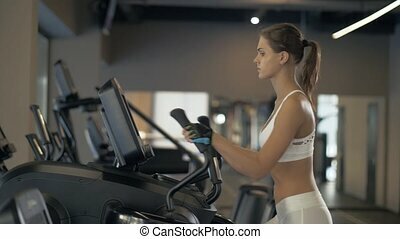 Sports woman warm up before training on cross trainer in fitnes club. 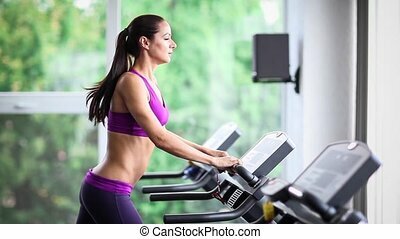 fitness woman training cardio exercise on elliptical cross trainer on background gym club. Young woman doing body stretching exercise on floor in sports club. Female presses trunk against hard surface, legs and hands spread wide, then she rests arms in front of herself. Fitness lady with tail, dressed in comfortable clothes and fashionable sneakers, makes warming up diligently, before strong training. Slim beautiful woman with inflated press in black short shorts and gray top on stone wall background. Stretches the muscles, warm up neck and shoulders before training. Young woman is stretching body in sports club. 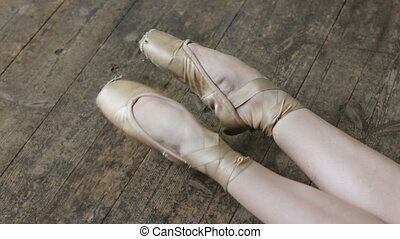 Female stands and leans on floor with hands, tilting trunk, sits down, bending knees then straightens them and grabs ankle with arms. Fitness lady dressed in stylish sportswear, warms up slowly to avoid injuries during intensive training. 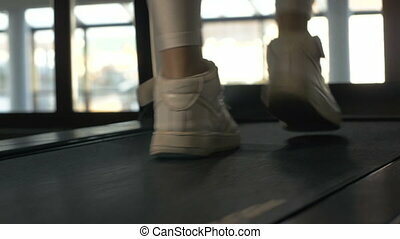 Female coach is on active training with young client in sports club. 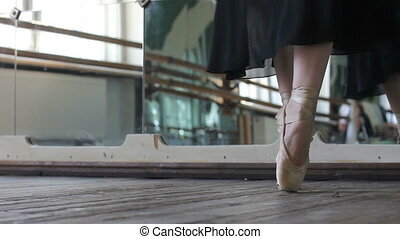 Experienced instructor helps woman to perform bridge exercise in modern studio. Fitness lady lies on floor and does practice, trainer sits next to and touches her body with hands. 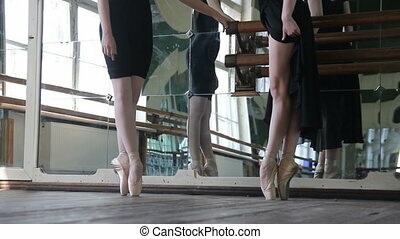 Two people are in learning process in spacious room with panoramic windows. Two women doing exercise on floor in sports club. Young females lean with feet toes on gymnastic mat, straightening slim body then bending elbows and lowering trunk, repeating set. Fitness ladies dressed in stylish compression clothes, practice together, warming up before functional training. Sporting a beautiful woman with long dark hair, I got a press in black short shorts and grey top on stone wall background. Stretches the muscles, warm up neck and shoulders before training. Back view of fit ethnic woman in bikini and sportive short warming up legs before workout on wooden pier with view of sea on background.